Animal cruelty is a continuing issue that affects thousands of animals every year. Animal cruelty can consist of either physical abuse, emotional abuse, or negligence. Out of the 1,143 animal cruelty reports in 2011, 70.1% of the cases involved dogs, 20.9% involved cats, and 24.1% involved other animals. In 2011, Community TV Network students did a documentary on the subject, focusing more on abuse by pet owners and other pet owners felt about it. They consulted lawyers vets and shelter owners to fully explore the implications of this crime and what can be done about it. You aren’t helpless though. If you suspect a neighbor or acquaintance of committing animal abuse, call 911 or reach out to an organization like The Humane Society. 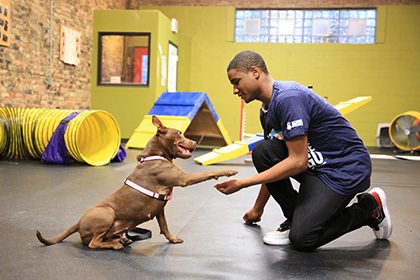 If you wish to provide support in other ways you can always donate to charities and business that protect animals, like Chicago’s Anti-Cruelty Society, Safe Humane Chicago, or the Animal Welfare League. Then, of course, there’s always adopting! Check your local shelters websites to find animals that could use a good home.